This week has been about looking for interesting, ordinary subjects for my photography. I’ve been attentive to my surroundings, considering angles and frames as I look around. 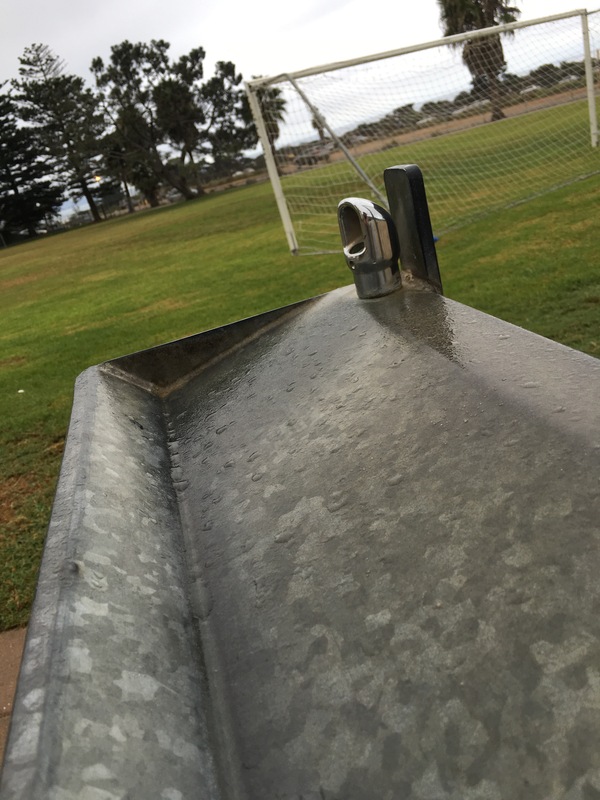 This morning I was out on playground duty when the water fountain caught my eye. I see this water fountain all the time, but today I saw it in a new way as I noticed the beads of water from the heavy, moist air. I leaned in and took this shot. 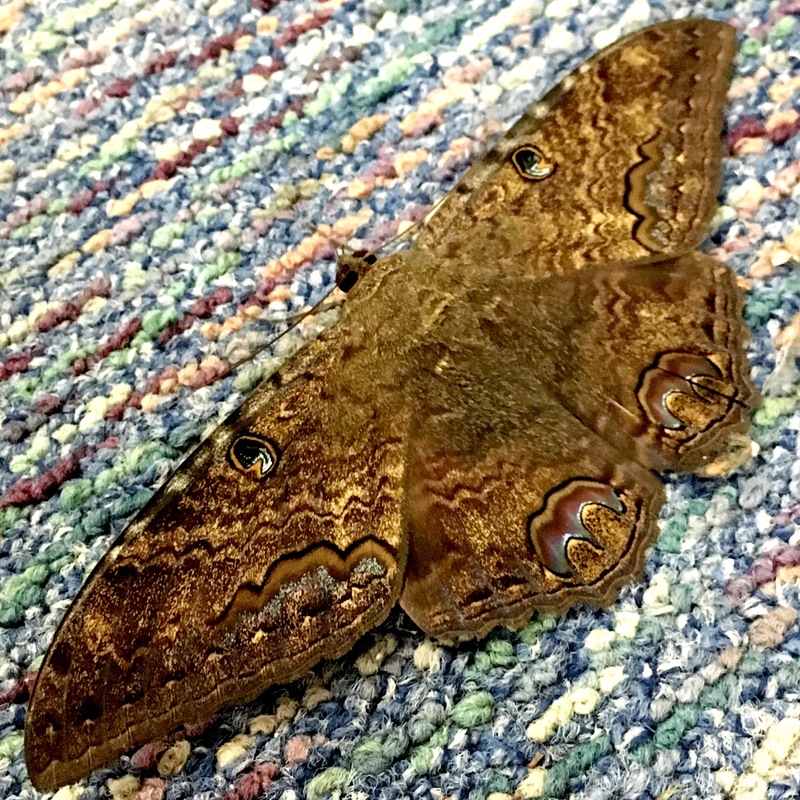 And even before that, as I chatted with the early arriving students in my classroom, I looked down at the floor and noticed this enormous moth! It was bigger than my outstretched hand…and in retrospect, I should have framed my shot including something to give a sense of size perspective. But I do love the wing detail that is evident in this view. I took the long way to my UCSD office this afternoon, noticing the detailed architecture of the buildings in the distance. 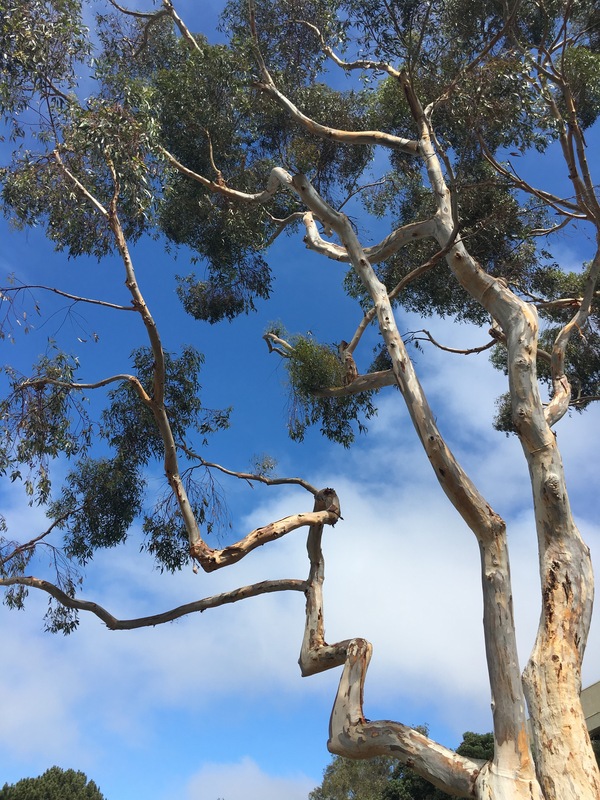 But my detour took me to a patch of mushrooms, a wall of fall-colored ivy…and then I looked up and noticed the angles of this eucalyptus (and a break in the cloudy gloominess of the sky, framing the branches in brilliant blue!). 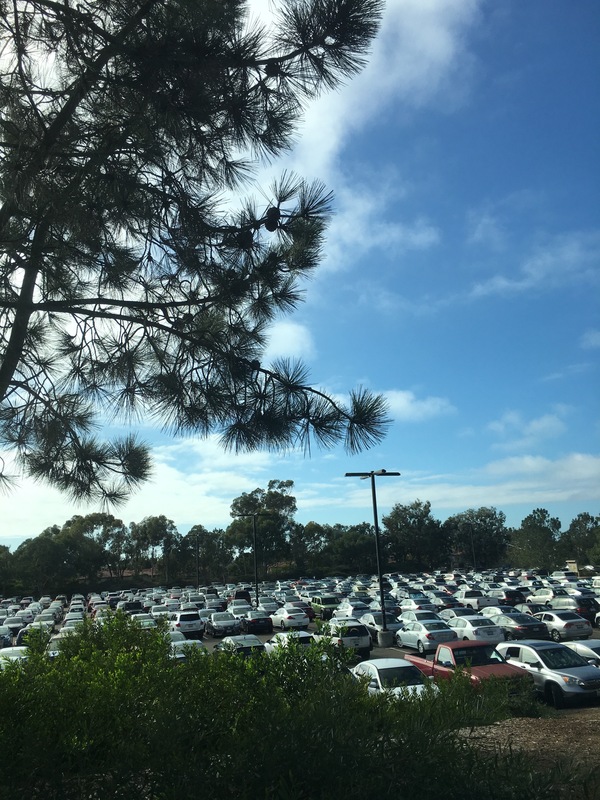 As I headed back to my car for my trip home, the sea of cars in the parking lot below where I parked caught my eye. 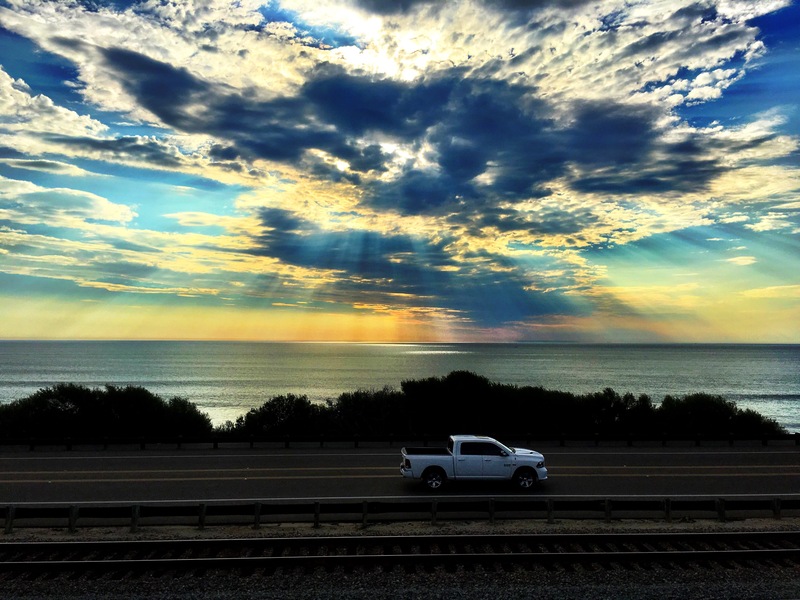 And trains and train tracks are a constant in the coastal communities here. 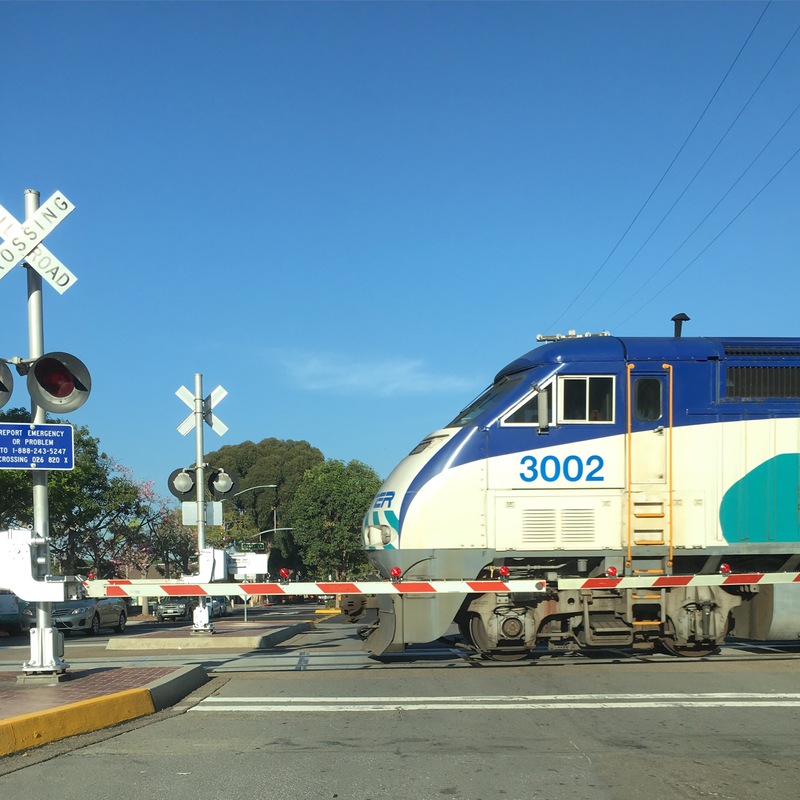 We can hear them from school and frequently have to stop and wait as the train rushes past. I don’t always get a front row view…but I did for this one! So go out into your everyday life in search of the ordinary. What catches your eye? You might have to kneel down, lean in, or stop and turn around to notice those things that you see everyday. Try a new angle, look for different lighting, or pay attention to what a child or a pet notices. I’m sure you’ll find something magnificently ordinary! I can’t wait to see what you find through your lens when you take some time to search for the ordinary! This entry was posted in clmooc, Weekly Photo Challenge and tagged drinking fountain, moth, ordinary, photo essay, photography, tree, writing on October 15, 2015 by kd0602.